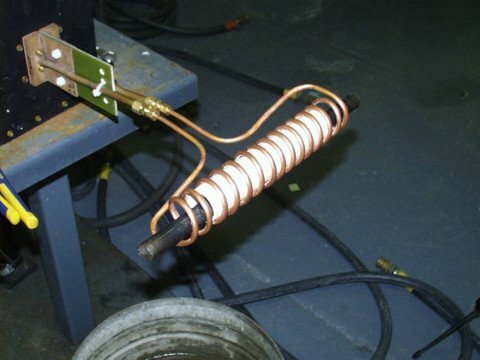 Process A fifteen turn helical coil with ceramic insert is used to preheat the 15” (381 mm) section of steel bar stock. 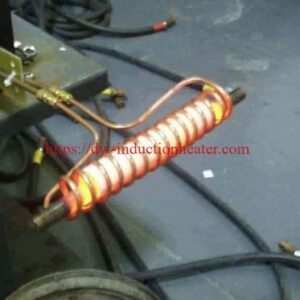 Power is supplied for 9.90 seconds to heat the whole piece to 1500 ºF (816 ºC). The piece is then placed in a die and formed into a u-bolt.